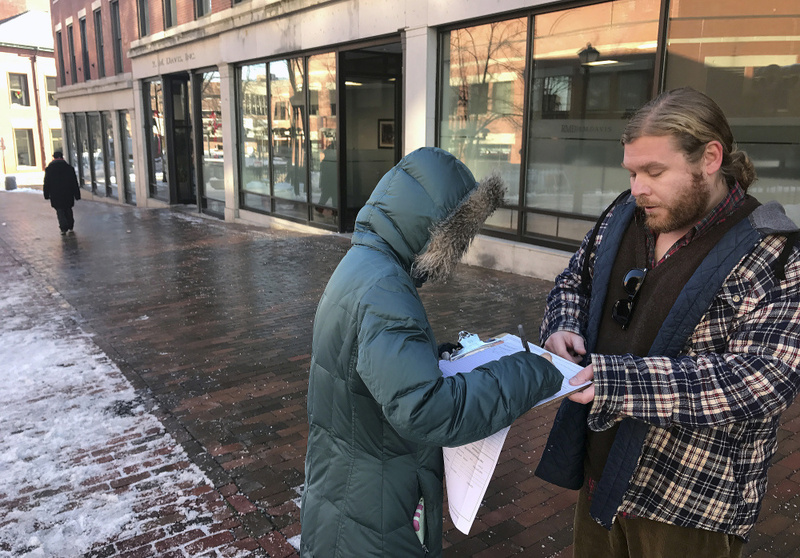 With the help of $350,000 from 2 George Soros-funded nonprofits, the Maine People's Alliance gathers and submits 67,000 signatures to put the question on the ballot. AUGUSTA — A group backed by billionaire philanthropist George Soros has launched an effort for Maine to be the first state to ensure all elderly and disabled people have access to help with daily activities from bathing to medication management. The proposed ballot question would increase taxes on high-earning Mainers in order to raise $310 million annually to provide such care, which would include home health aides, home repair, hospice care and transportation. There is appetite in Maine to make the wealthy contribute more as income inequality grows nationwide, said Mike Tipping, spokesman for the liberal nonprofit Maine People’s Alliance. “It makes a lot more sense to help people age in their home rather than ship them off to a nursing home,” he said. The group’s campaign this month reported receiving a $350,000 boost from the Washington, D.C.-based Center for Community Change Action and the Open Society Policy Center, also based in D.C., a nonprofit funded by Soros, who has long railed against income inequality. The Center for Community Change Action reported that the $150,000 it contributed to Maine’s effort came from the nonprofit linked to Soros. The initiative would create a new 3.8 percent tax on the portion of income above the amount that’s subject to Social Security employment taxes. Employees and employers would each pay 1.9 percent of wage income above that threshold – which currently is $128,400. Democratic Secretary of State Matt Dunlap is reviewing whether the effort will qualify for the November ballot. The state requires 61,123 valid signatures, and proponents have submitted 67,000. Hawaii recently passed a law providing up to $70 a day worth of services for a caregiver who assists a loved one over age 60 and has a full-time job. The state of Washington is considering a law to increase payroll contributions to provide family caregivers with $100 a day for a year. Republican Gov. Paul LePage’s administration, the state Chamber of Commerce and Republican state representatives say the initiative would amount to one of the largest tax increases in state history. Maine lawmakers last year removed a voter-approved tax surcharge on the state’s highest earners following widespread criticism and lobbying by business and conservative groups. Maine has the oldest average population of any state, and its people are in dire need of such services, Tipping said. If the fund is in danger of being tapped out, the proposed ballot question would allow limits on the amount of services available to each eligible individual. “It would attack this from the care side, making sure everyone’s guaranteed they can get that care if they need it,” he said.